Thanks to the paperless office that will never arrive, you can still find photocopiers in almost any corporate setting. 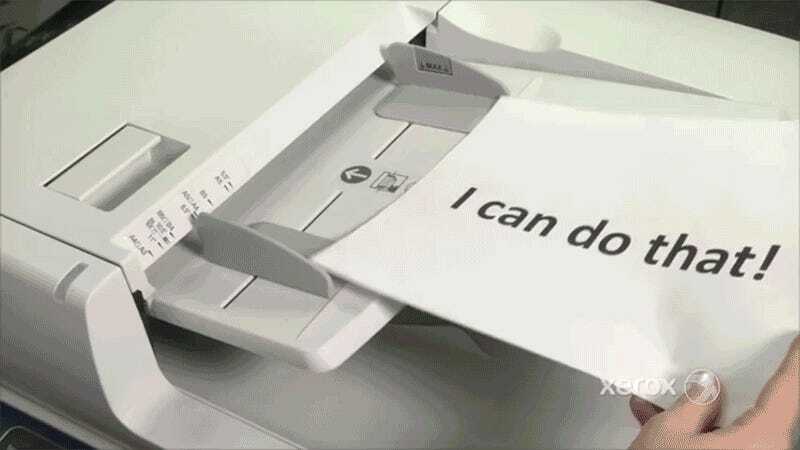 They’re a necessary hassle, but Xerox is making its machines slightly less of a burden to have around with new functionality that automatically translates a document as it’s being copied. Xerox’s Easy Translator Service isn’t free, though. Whether you’re using it through a photocopier, an iOS or Android app, or through its website, the first 30 translations are complimentary, but after that it costs $10 for every 10 pages of machine translation, or 100 pages for just $50. If you’d rather buy in bulk, Xerox will also charge $5,000 for 100,000 translated pages, but that offer won’t be available until late April. For more accurate results, there’s also the option to have an actual human translate your documents, but that starts at 10 cents per word and will get very expensive, very quickly.